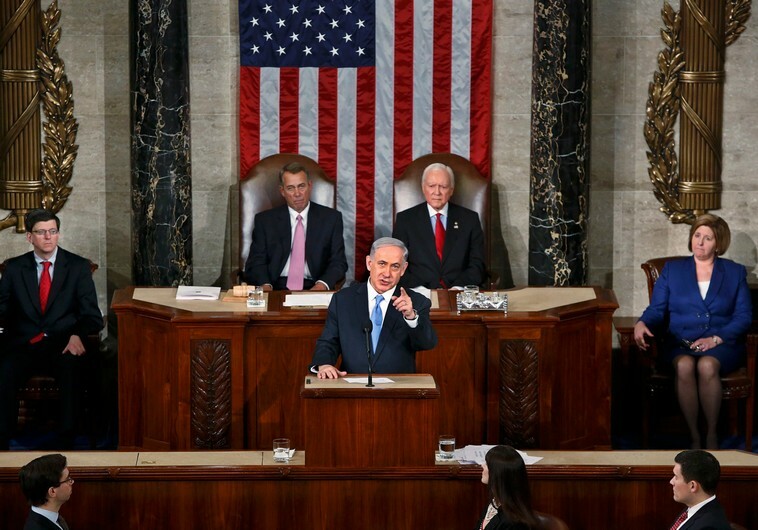 On Tuesday Israeli Prime Minister Benjamin Netanyahu addressed the United States House of Representatives. It has been a controversial issue. Speaker of the House John Boehner invited Netanyahu without consulting with the Obama Administration. The Obama Administration, feeling slighted, has strongly criticized the move as partisan, mostly because Netanyahu is up for election later this month back in Israel. For their part, Boehner and Netanyahu argue that the issue is Iran, specifically President Obama’s handling of the negotiations. What most people are talking about is how the whole thing has strained U.S.-Israeli relations. I actually have three, distinct thoughts on this. First, it could all just be political grandstanding. Boehner wants to look like the Republicans are the ones who really care about Israel, and who has answers for complicated foreign policy. Netanyahu wants to stick it in the eye of Obama, whether. If he loses the election, he’ll never get the chance again. Netanyahu has felt slighted by President Obama for six years, and now he can lecture him, again, in his own backyard. President Obama is the one who made this a big deal by loudly protesting in the media about it. He is trying to make himself look like the one who is working to keep ‘partisan politics’ out of foreign policy. My second thought is that this whole thing is only magnified because of the religious significance of Israel. Obviously, it is important to many Jewish Americans, but the issue is also important to many evangelicals who believe that America’s security is tied to the ‘blessing’ of political Israel, as if political Israel is the same thing as genetic, or biblical Israel. You have to admit, it makes it all interesting. My third thought is the old sleight of hand idea. The real issue is Iran. So, just perhaps, President Obama, Boehner, and Netanyahu are all on the same page. They are executing a deftly devised diversion. While the whole world is looking at one thing, they will miss the real thing—which is a back door diplomatic, or maybe even military, solution to Iran. I’m just saying, when two people fight as publicly as Obama and Netanyahu have, it makes you wonder if they are really just pulling a fast one over on us. 1) While I am not crazy about our treatment of Israel at the hands of the Obama administration, I do see much of this as political grandstanding on the part of Republicans in Congress (although I don’t understand why President Obama has been such a baby about it). I tend to agree with the substance of the Republican position on Israel, I still believe strongly that foreign policy is the charter of the Executive Branch, regardless of who happens to occupy that office. This is the essence of a rational-legal system of authority such as ours. I don’t think I am being hypocritical here, since I have had similar concerns about the President’s foray into the legislative arena. 2) The significance of this as a religious issue is clearly blown out of proportion by modern evangelicals, who tend to be rather Zionist due to their view of the equivalence of spiritual Israel with political Israel—a stance Paul takes strong exception to in Romans 9. It’s also interesting how quickly we forget that many evangelicals and Jews at the end of WWII had no problem with a Jewish state being established in formerly held German territory in the event that a return to Palestine was not politically expedient. 3) Having said this, we must not underestimate the importance of the political alliance between the U.S. and Israel. The United States remains Israel’s only significant ally, and Israel is the only nation in the region with which the U.S. has consistently had a stable relationship. 4) While I think Jamie’s third possibility is very interesting, I’m not a very good conspiracy theorist, and I am pretty convinced that the acrimony between Obama administration and the Boehner/Netanyahu alliance is too toxic for them to pull anything over on anyone. It’s not a conspiracy, just a big, embarrassing mess. It makes me wonder just how badly we covet the rest of the world’s ridicule.